BONSILAGE FIT. 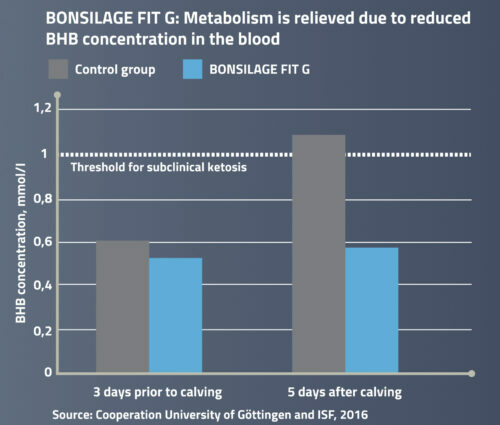 Measurably improved cow fitness. 80% of dairy cow diseases occur during calving. This is due to an energy deficit, which leads to metabolic disorders and other diseases. 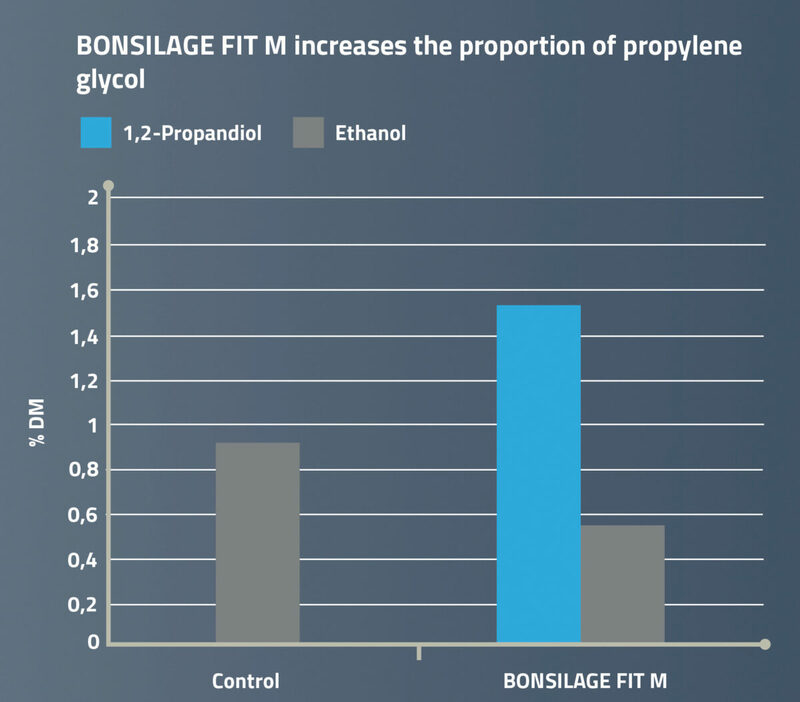 BONSILAGE FIT optimises the energy properties of your silage and provides high aerobic stability. Feed-related diseases such as acidosis and ketosis can be influenced by using silage additives. 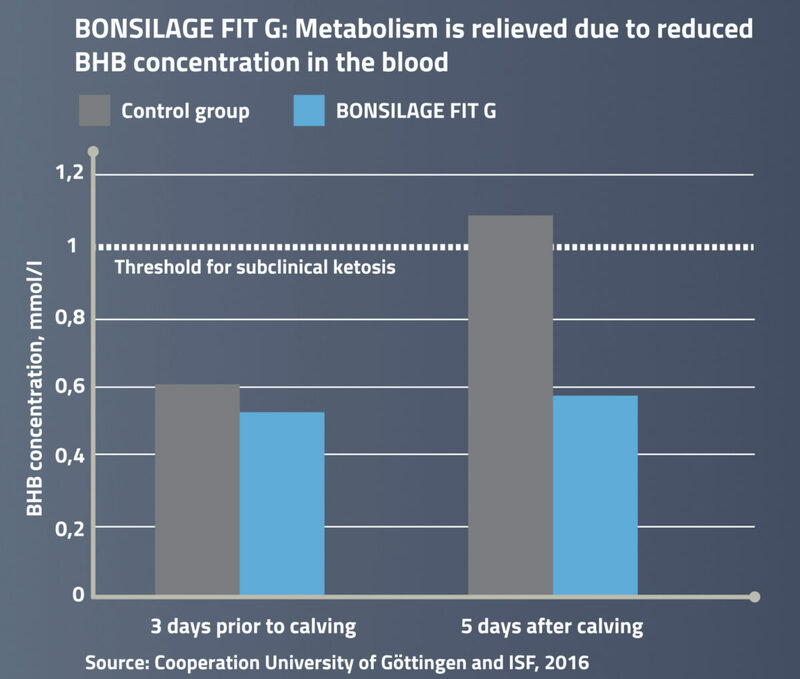 The formation of glucoplastic components such as propylene glycol relieves the cow’s metabolism at the start of lactation – for measurably improved cow fitness. 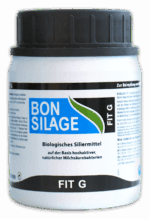 The silage additives in the BONSILAGE FIT range optimise the energy characteristics of your silages and ensure high aerobic stability. 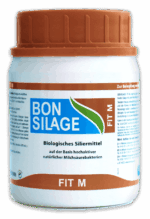 Reliable protein quality and high aerobic stability in energy-rich grass silages. High aerobic stability in energy-rich maize silages and whole-crop-silages. 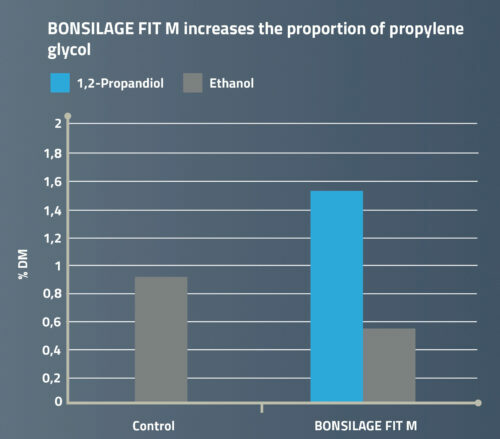 Read farmers’ first-hand reports about their experiences with silage additives from the BONSILAGE SPEED range.